Requires iOS 5.0 or better. 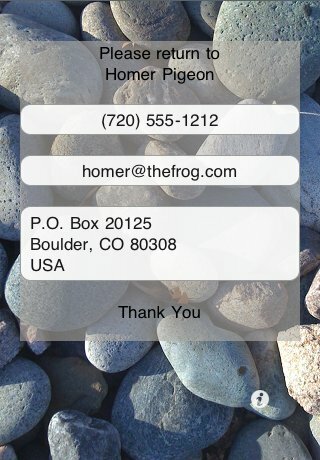 PleaseReturn allows a person that finds your iPhone to easily connect with you and return it. Easy one touch buttons allows the person that finds your iPhone to place a phone call to you, send you an email or navigate to your address, as you like. You may control the amount of private information a user of this application can easily see. 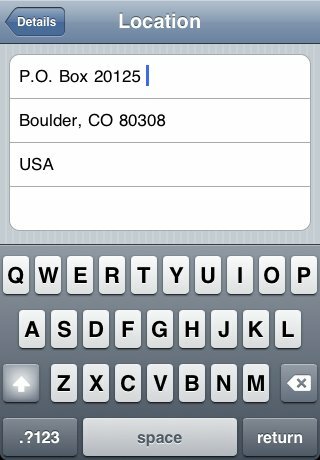 You may, for example, omit your address or phone number from your PleaseReturn contact information. 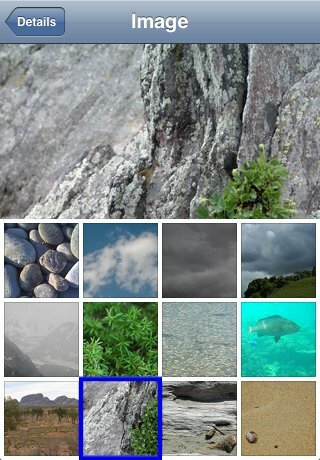 You may customize the appearance of this application with twelve different background images. This app is easy to use, free and just the thing to have on your home screen if you have a busy life and sometimes leave your iPhone behind. The friendly Homing Pigeon icon makes this a likely application that a finder of your phone may touch to start the return trip of your iPhone. Supported languages include: Arabic, Chinese, Croatian, Czech, Danish, Dutch, English, Finnish, French, German, Greek, Hebrew, Indonesian, Italian, Japanese, Korean, Malay, Norwegian, Polish, Portuguese, Romanian, Russian, Slovak, Spanish, Swedish, Thai, Turkish, Ukrainian. By the way, this app has been tested on iOS 5 and also does not have those annoying advertisements that many “free” applications display. Just thought that you would like to know. 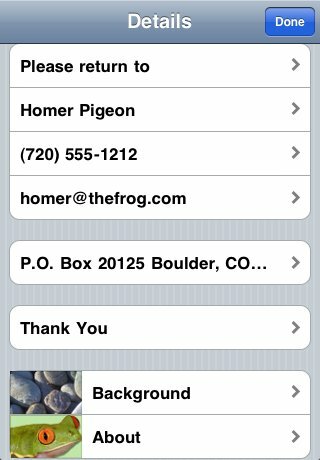 Brought to you by Tree Frog Software, for the fun of it. 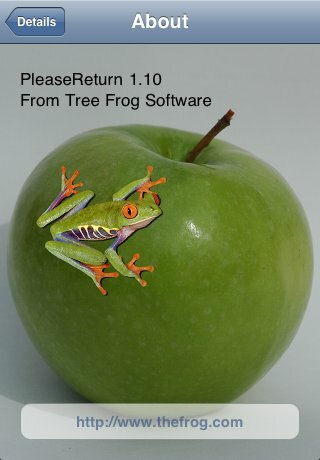 Copyright © 1996-2018Tree Frog Software, All rights reserved.